Do you feel a deep sense of satisfaction upon helping other people in their daily living? Do you feel the need to alleviate the sufferings of people who are terminally ill, severely injured, or physically incapacitated? 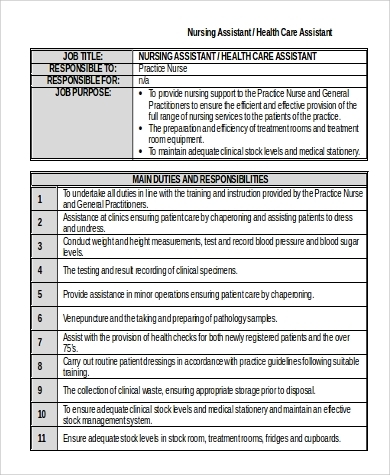 Then maybe a career in the health-care profession is the most fulfilling option for you! 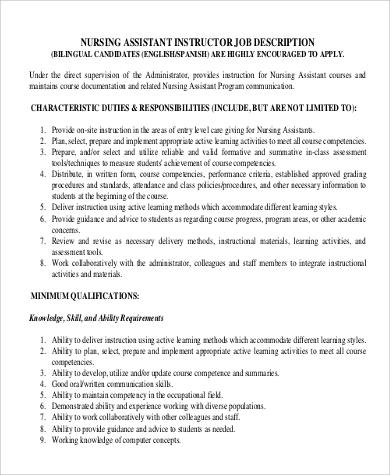 If you don’t have a nursing degree or a medical degree, then you can always work as a caring nursing assistant. 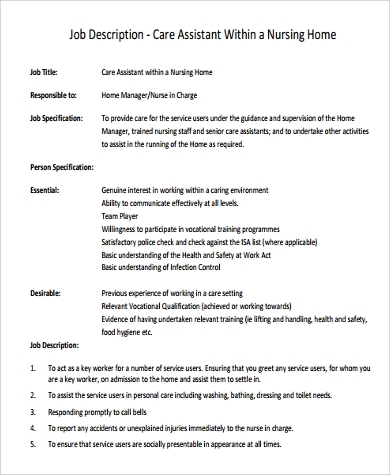 Below is a wide collection of nursing assistant Job Description Samples that can help inform you on the basics of this position. Scroll down and download our templates now! 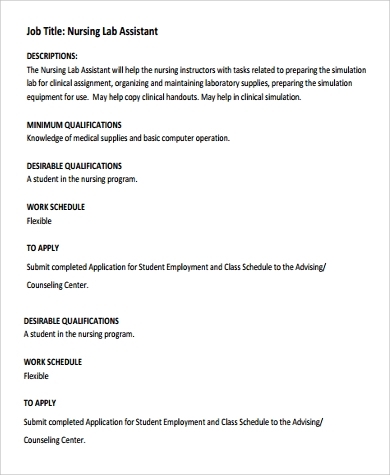 Nursing assistants or nurse aides serve as the assistants of nurses in patient care. They rarely handle clerical tasks such as keeping of records. 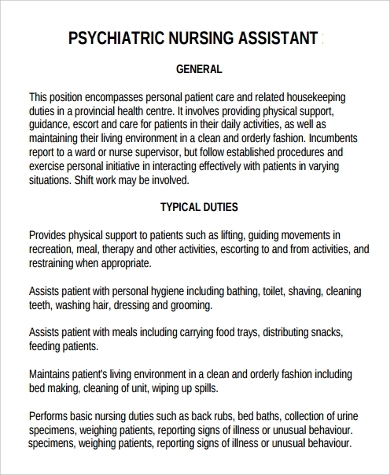 Their job functions usually involve cleaning, sanitation, and preparation of environments and patients, help patients become more active, ensuring that their basic needs are satisfied such as eating, peeing, taking a short exercise, etc. 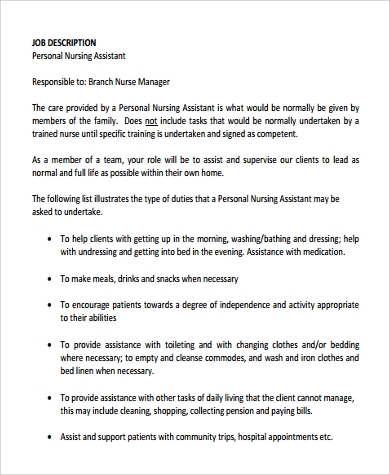 Indeed, the functions of this job might be menial, but nurse aides are the silent heroes in any medical facility. 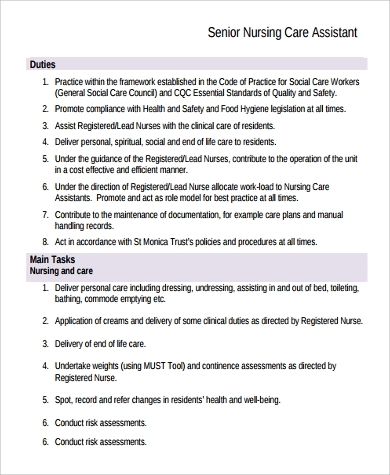 Provide assistance with other tasks of daily living that the patient cannot manage. This may include cleaning, shopping, collecting pension, and paying bills. Support and assist patients with their trips, hospital appointments, daily exercise, etc. 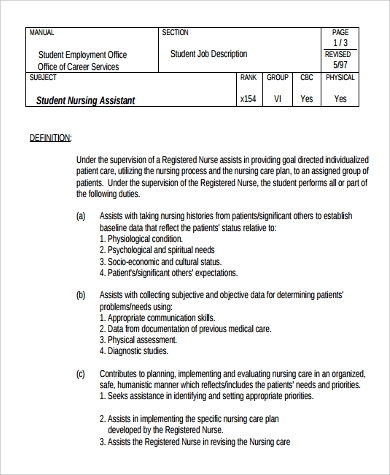 For more medical-related job descriptions, check out our easily downloadable collection of Physician Assistant Job Description Samples. 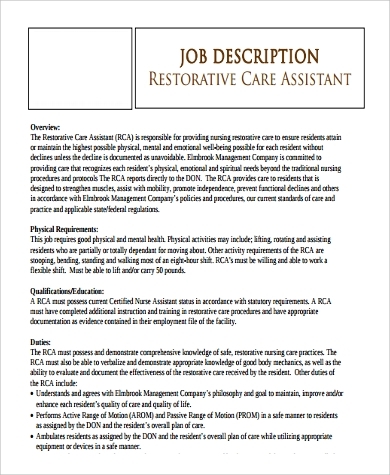 Want more ideas about job positions that are open for a person with a deep well of care and concern for other people? 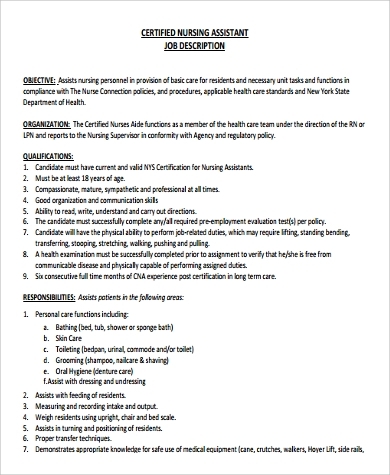 You might want to consider perusing our Medical Assistant Job Description Samples. Simply click on the link provided.